Ok y’all – take this from the girl that hates (HATES) eggs…this is a good one. 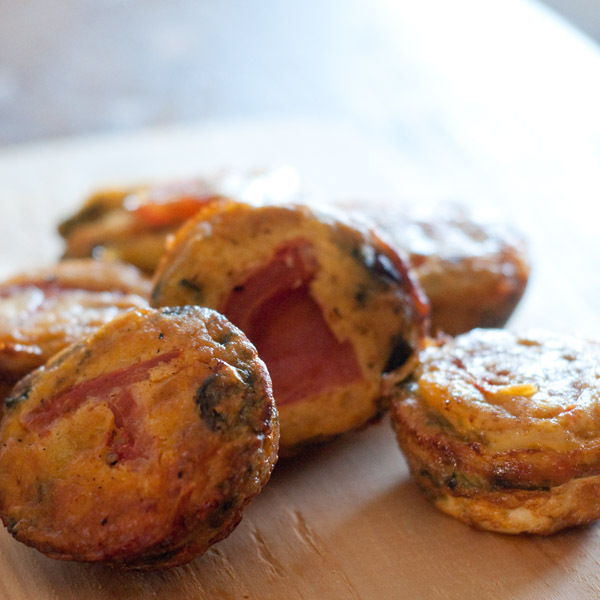 If you are needing a breakfast/brunch dish to take to a party, this is perfect! I needed a good tailgate brunch recipe a few weeks ago, and had a ton of eggs I needed to use. This is an easy way to use up any leftover ingredients in your house. I did sausage, spinach, and tomato, and it was wonderful…but you really could use anything! 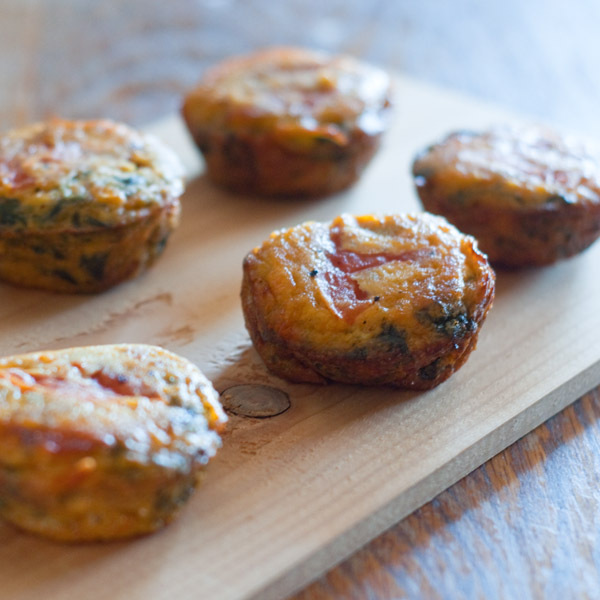 Here’s my version… Frittata Cups Ingredients1 tbsp olive oil1 tomato, chopped (reserve some thin pieces to add at the end)1 box of chopped/frozen spinach, thawed and drained1 16oz. package of smoked sausage, chopped into small pieces1 tbsp. garlic powdersalt/pepper to taste1 dozen eggs1/2c milk1 pack (2 cups) cheddar cheese DirectionsIn a large pan, heat the olive oil. Add sausage and brown. Once the sausage is cooked, add the spinach, tomato, garlic powder, and salt/pepper. Cook until some of the liquid from the veggies cooks out and everything is well incorporated (about 5 minutes). Let this mixture cool. I made this the night before and put it in the fridge…cuts down on your prep time in the morning! In a (very) large bowl, crack the eggs and add the milk. Beat this mixture for 2-3 minutes (this makes the frittata cups a little lighter and airier). Add the spinach/tomato/sausage mixture and half the cheese. Make sure everything is mixed well. Fill a muffin tin with this mixture. Pour the mixture to fill about 1/2 of each cup (it will bake up some). Sprinkle the top with cheese and press a reserved piece of tomato into the top. Bake at 350 degrees for about 25 minutes, until the egg has set. Then, take the cups out, flip them upside down on a cookie sheet, and bake for about 10 more minutes at 350 degrees (the bottoms were kind of soggy when I took mine out of the muffin tins, and I like the whole outside to be a little crunchy). Serve immediately…they are best on the first day, but we popped them in the toaster oven the second day and they were still great!